High-load titanium V sheaves feature the same incredibly efficient bearing set of angled titanium rollers as Harken’s V blocks. 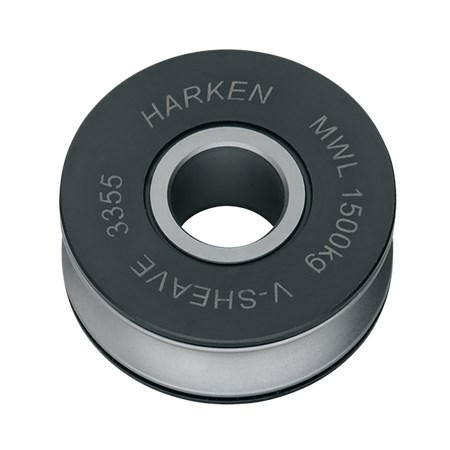 Harken V sheaves are extremely versatile! Perfect for running lines underdeck, in mainsheet and spinnaker sheet or drop line systems. They are also perfect to rig clean backstay systems to steady today’s slender masts and adjust mast bend. Snap fit Delrin® side covers require no tools to disassemble for maintenance.